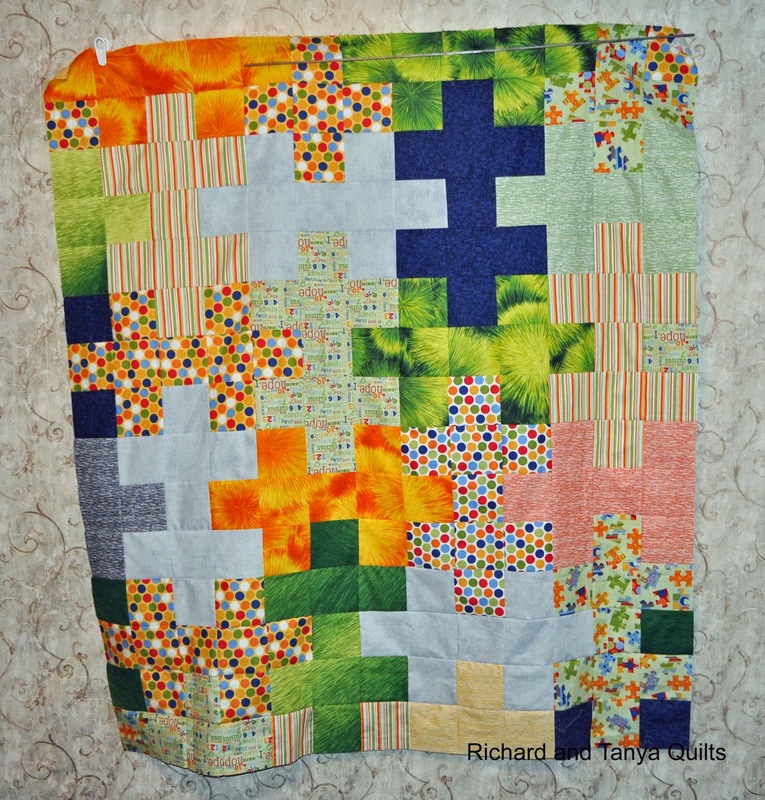 Richard and Tanya Quilts: Rag Quilts Rock! 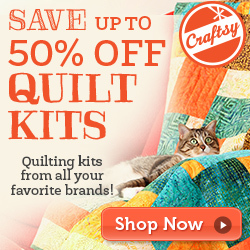 Look what I found on Craftsy today? Yep that's my quilt in the #1 spot. I get all excited when I see my patterns in the top 20. This is only the 2nd time I have hit #1 (Last time was windows quilt). It is so fun to see it and read the fun comments. It turns out the reason it hit #1 is a post on Facebook from Quilting Club. 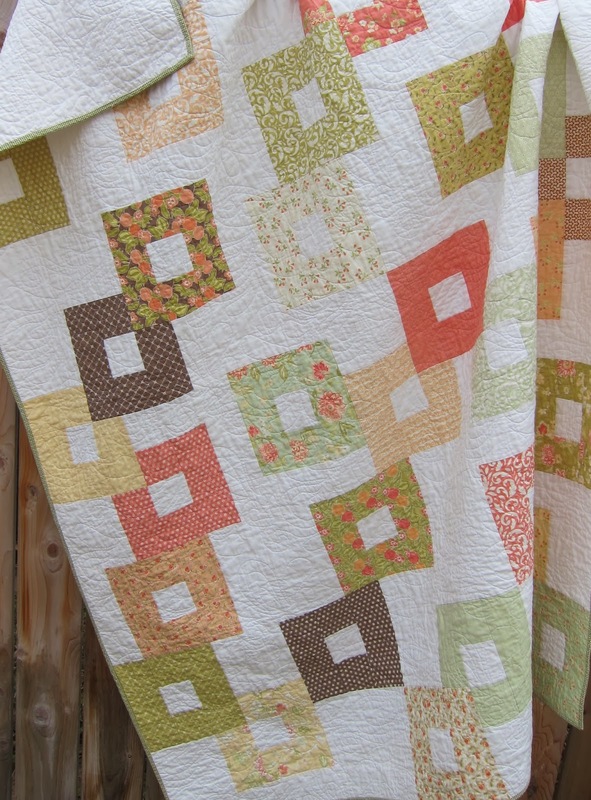 They randomly link to quilts on crafts and I love it when they pick one of mine. Here are a couple of quilt tops that I have been working on lately. The top one is for my son's school. They do a auction each year and so far the last 2 years we have given a puzzle quilt. Last night Tanya and I decide we were going to make one. 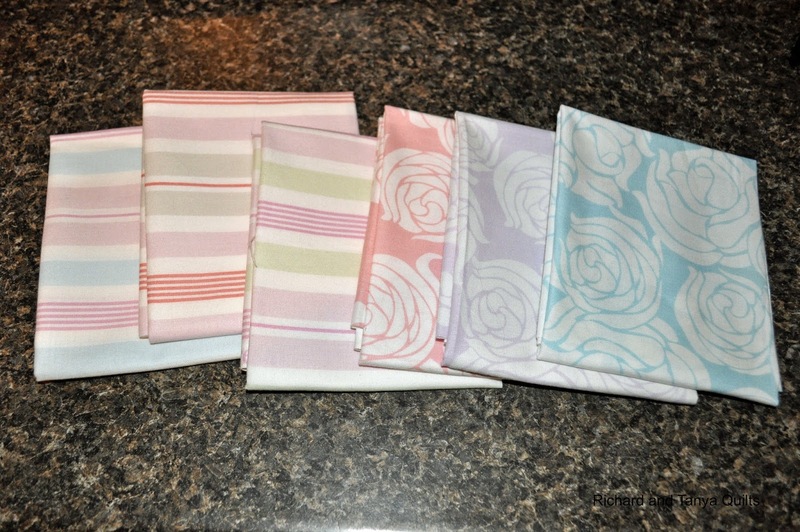 Tanya went dumpster diving and found these odd fabrics from our stash. I think I love how it turned out. A few weeks ago we found some cat in the hat fabric on discount and I made this top. Sadly after making it all I can say is TOO BUSY oh talk about a quilt fail. It will still be cute but not as cute as it could have been. Lucky for me I have tons more of this material. All I need is to get some solids and thin the next one out a little. OK it is time to give my little pretty's away. Yes, I could not believe it, I never roll a one, but this time I did. Gene Black won! I have emailed both, congrats! That's awesome. So much fun to make it to #1!!! You deserve it! Congratulations for #1 spot. 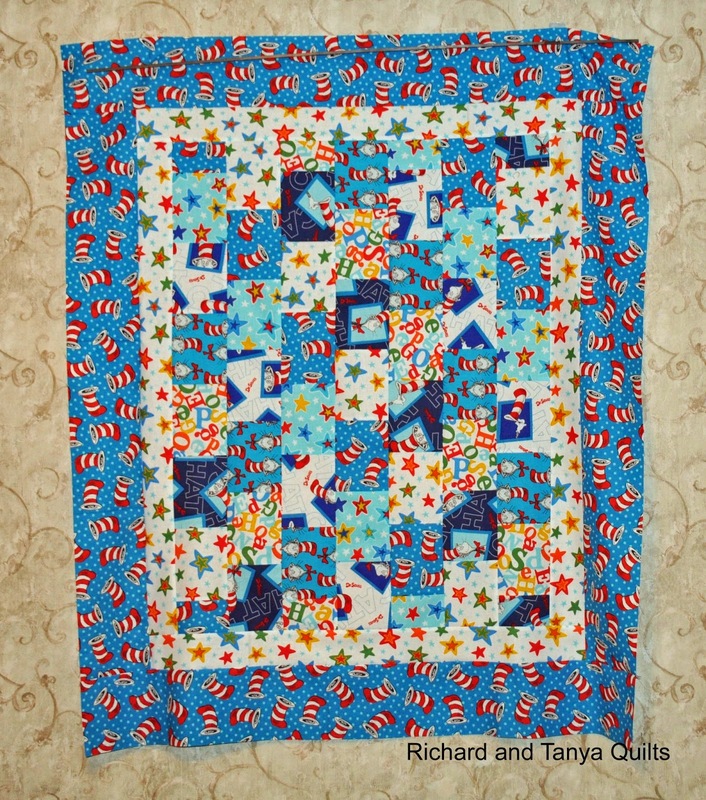 I am sure that you're Cat in the Hat quilt will be a well loved snuggle quilt. Is there a pattern for the "puzzle pieces" looking quilt? Thanks. No Reply Bloggers! Are you one? Triangle Quilt Along, Sew the rows together!